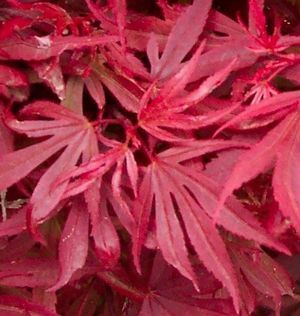 Large dark red leaves grow in rosette pattern. Intense crimson fall color makes great contrast. Very dense and compact growing habit. Slow growing.